Ku-ring-gai National Park Day Ride was not quite as well attended as would have been expected but those that went enjoyed themselves. Although only a few went, reconnaissance was undertaken and we have picnic location (with photos) sussed out for a future event. 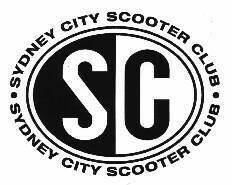 SCSC Website (www.internetscooter.com/scsc.html) is still going strong. This being kept up to date and even has links that will provide you with more detail on planned events this month. Tassie 2000 is here. You will notice by the absence of a few club members this club meeting. Next meeting Wednesday 2nd there will be a ride-out before the meeting at 7:30PM. The ride will take us to Harry’s Cafe, Wooloomooloo and back to the Duke through the new tunnel (the free way). Laura, James G and Paul will be in Tassie for this one so we also need a volunteer to run this. Moonlight Cinema Friday 11th to see Austin Powers - International Man of Mystery. It’s best to have your tickets and get in early for a good picnic spot. Book your tickets through Ticketmaster 136 100 and be at the Duke for a prompt 7:30 departure - bring your rug and tim tams. Kangaroo Valley will be at the end of the month Saturday 26th. This will be about a 180Km drive through some awesome countryside with an overnight stay in Nowra. Bookings are yet to be arranged but we are expecting to have a B and B that will put us up for about $25 a head with breakfast included.